It is education that differentiates “MAN” from other living being, since it refines the mind and intellect which remains unrefined in animals, birds and insects etc. Swami Vivekananda while travelling in America said, “Travelling through many cities of Europe and observing in them the comforts and education of even the poor people there it was brought to my mind the state of our own people, and I used to shed tears, what made difference? Education was the answer I got.” He said, “Education is not the amount of information that is put into your brain and runs riot there, undigested all your life. You must have a life-building, man-making, character-making, assimilation of ideas”. Essentially, the goal of education is to give children a happy childhood and prepare them for a productive and useful civic life. The conventional system of education continues to be the norm despite the realization, that education is not merely a medium of social change but also a creative force which reshapes and remodels society in the desired manner. Access to quality education is highly inequitable across income groups, geographically, gender wise and amongst different skills. All over the world, national economy is based on globalization and knowledge based education. The general academic present far removed from the real world, and need to be focused to impart employment ability skills. Hence there is a need for a new approach to bridge this gap and link up education to employability. Integrating vocational education with general academic education provides young people with necessary employability skills. The open schooling system provides an opportunity to reach the unreached through a flexible multimodal system spread across the country. Considering the size and diversity of the country, flexible education interventions combining academic education vocational training to enhance vocational and core technical skills help to sustain all inclusive economic growth and development. Human personality and human resource development should ideally start at school level but we must identify and delineate skills that can be imparted in school and out of school. The fact in that despite massive expansion of the education system in the country, a large number of adolescents and youth particularly from the economically weaker sections and in rural areas is not able to acquire school education. The national skill development agency has been set up to develop the strategy for the skill development at the national level with a view to addressing the skill deficit. This initiative aims to empower all individuals through improved skills, knowledge, nationally and internationally recognised qualifications to gain access to decent employment and ensure India’s competitiveness in the global market. In these backdrop, a novel and innovative approach for integrated, sustainable education through the synergy of formal education multi-skill vocational education and moral education is being implemented at Divyayan krishi vigyan Kendra, Ramakrishna mission Ashrama Ranchi. This institution has been engaged in providing long durational training to the rural youth for more than four and half decade. It has been observed that most of the youth are either eighth standard pass or could not complete the secondary senior secondary course due to financial or social problems. But still they are very much interested to enhance their academic qualification, as they no longer remain to be uneducated ones. 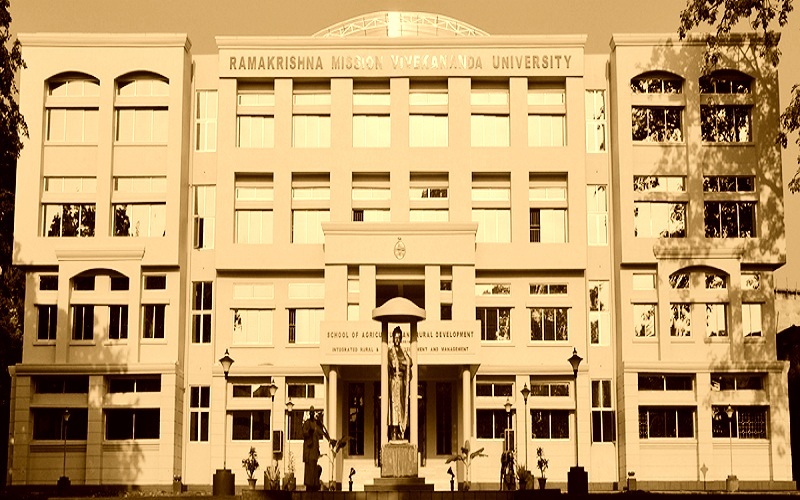 Since this institution believes that education is indispensable for human development and knowledge in the gateway to quality of life and also eager to access the universalization of education, it has been decided that those youth who are undertaking training at divyayan kvk should be given the secondary and senior secondary courses of National institute of open schooling (NIOS) along with vocational courses of divyayan & NIOS. There is a tremendous enthusiasm among the trainer to enrol their name in NIOS courses. Thus a synergy of vidyalayi siksha, karigari siksha, naitik & adhyatik siksha is being implemented at divyayan with the view to help youth become responsible and self-reliant citizen of our motherland. The advantage of this approach that with the objective of “Reach out and Reach all”, National institute of open schooling (NIOS) offers flexibility in admission, choice of courses, option for exam and choice for vocational subjects with academic courses. It has the authority of the government of india to certify the courses which help in empowering the learners. The shift from traditional schooling system to an integrated vocational and academic system over the years has started to gain momentum. The significant steps being taken by divyayan kvk, Ramakrishna mission ashrama to promote integration of vocational and academic along with moral education are merely a drop in the ocean. We need to intensify efforts in all section involving the Government of India, the corporate sector educational institution, NGO’s the media the community and society at large.